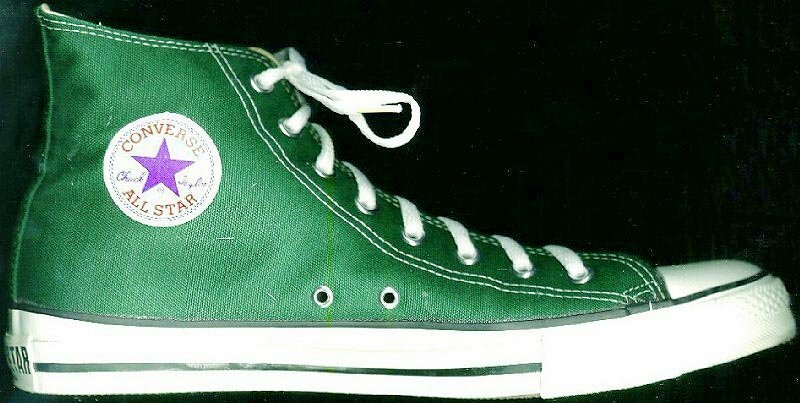 Various green high top models from the 1980s and 1990s. 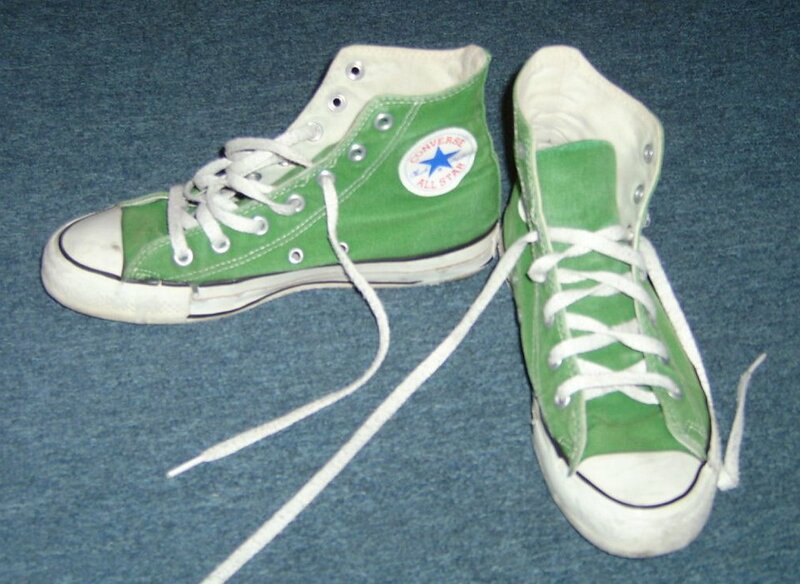 1 Miscellaneous Green HIgh Top Chucks Aqua high tops, angled front view. 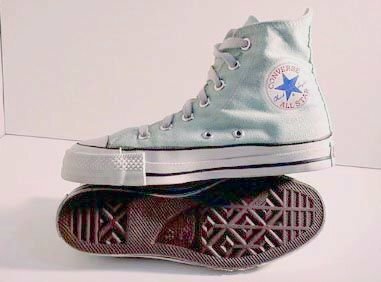 2 Miscellaneous Green HIgh Top Chucks Aqua high tops, front and rear views. 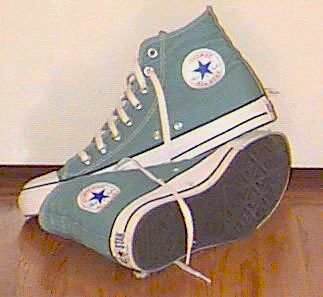 3 Miscellaneous Green HIgh Top Chucks Aqua high tops, right inside patch and sole views. 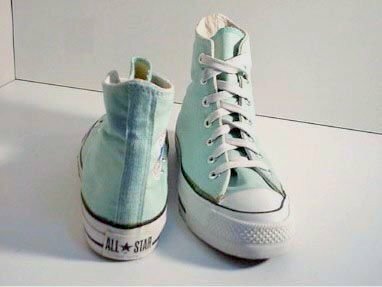 4 Miscellaneous Green HIgh Top Chucks Aqua green high tops, inside patch view. 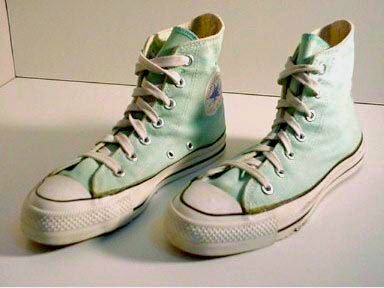 5 Miscellaneous Green HIgh Top Chucks Aqua green high tops, side and sole views. 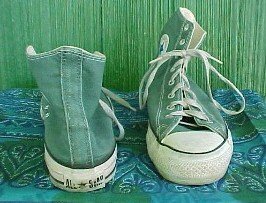 6 Miscellaneous Green HIgh Top Chucks New aqua high top, inside patch view. 8 Miscellaneous Green HIgh Top Chucks Inside patch view of faded green high top chucks. 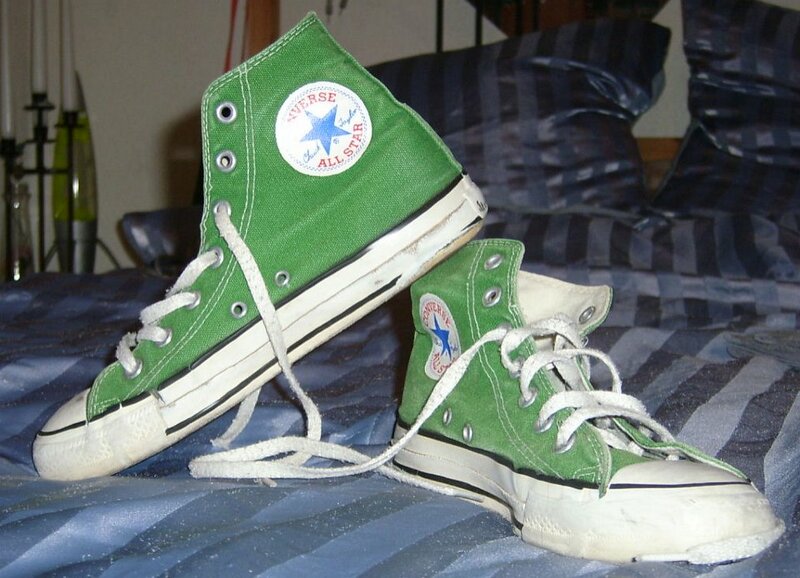 9 Miscellaneous Green HIgh Top Chucks Front and rear views of faded green high top chucks. 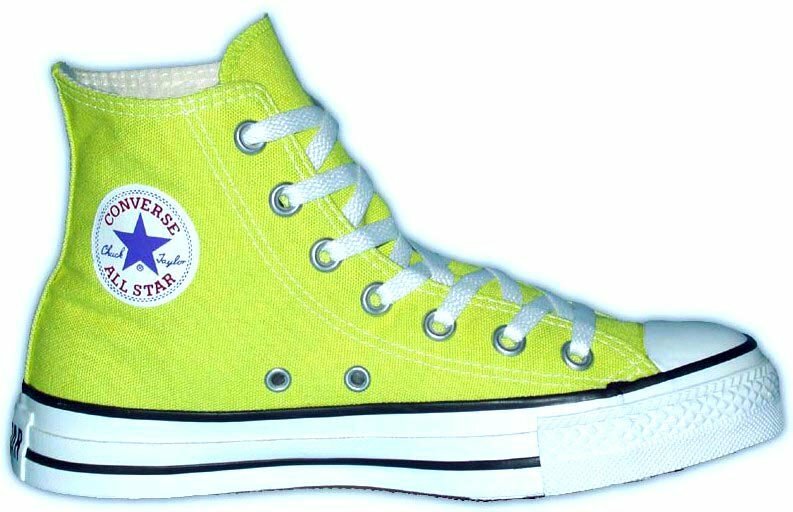 10 Miscellaneous Green HIgh Top Chucks Limeade high top (2002 seasonal color), left inside patch view. 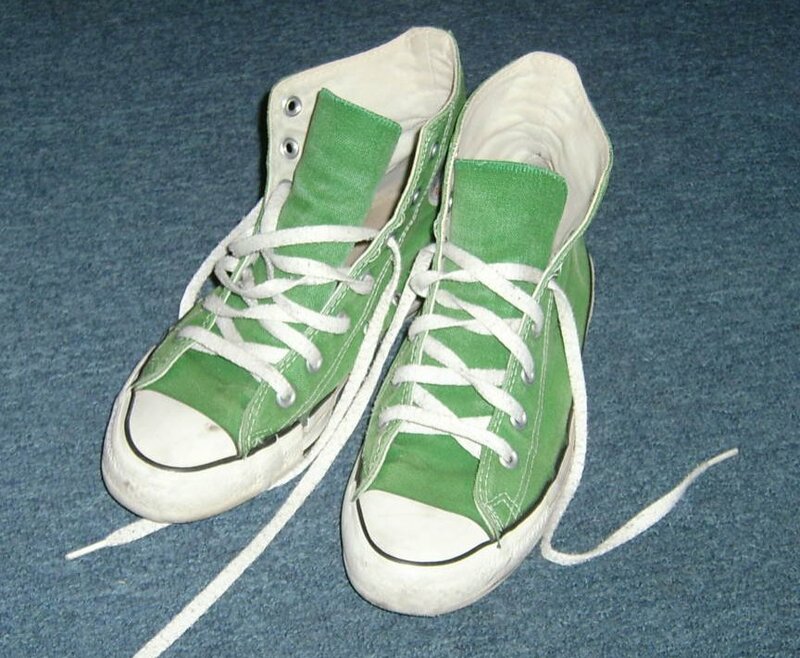 11 Miscellaneous Green HIgh Top Chucks Olive high tops with round laces, front and rear views. 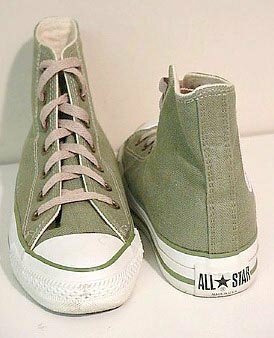 12 Miscellaneous Green HIgh Top Chucks Olive high top with round green laces, inside patch view. 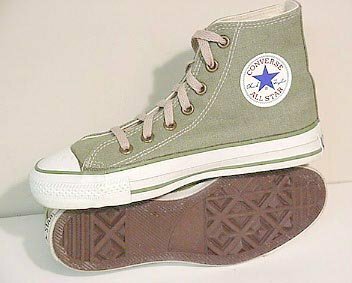 13 Miscellaneous Green HIgh Top Chucks Olive high tops with brown laces, angled front view. 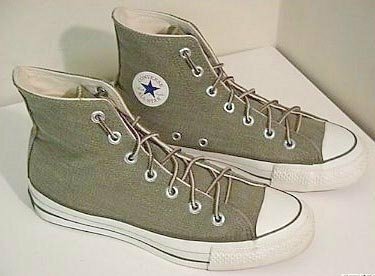 14 Miscellaneous Green HIgh Top Chucks Olive high tops with brown laces, front and rear views. 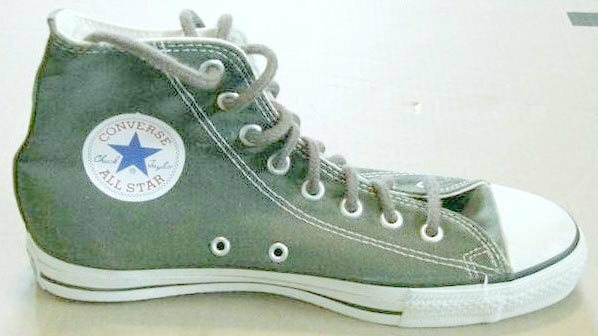 15 Miscellaneous Green HIgh Top Chucks Olive high tops, with brown laces, side and sole views. 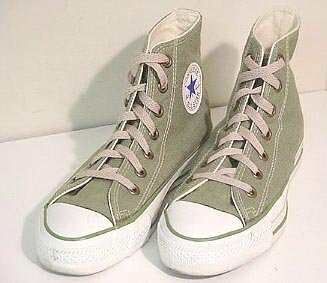 16 Miscellaneous Green HIgh Top Chucks Olive hemp high tops with round laces, side view. 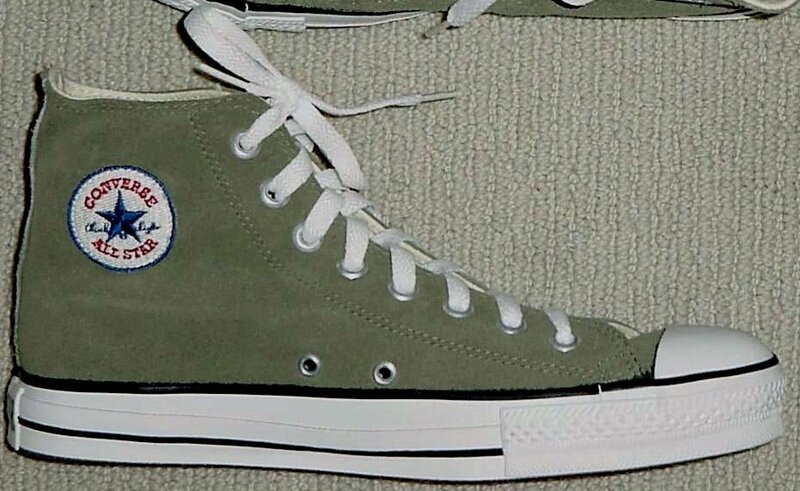 18 Miscellaneous Green HIgh Top Chucks Olive suede high top, inside patch view. 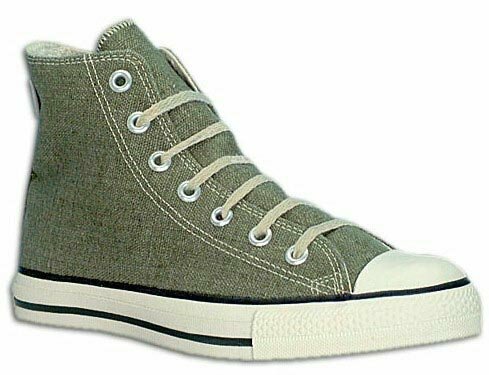 19 Miscellaneous Green HIgh Top Chucks Olive suede high top, top view. 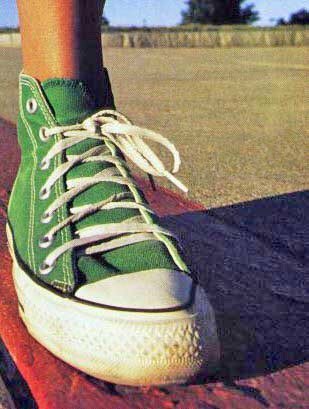 20 Miscellaneous Green HIgh Top Chucks Pea green high top from a Boston ad campaign. 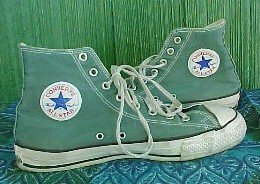 21 Miscellaneous Green HIgh Top Chucks Pea green high tops, angled side view. 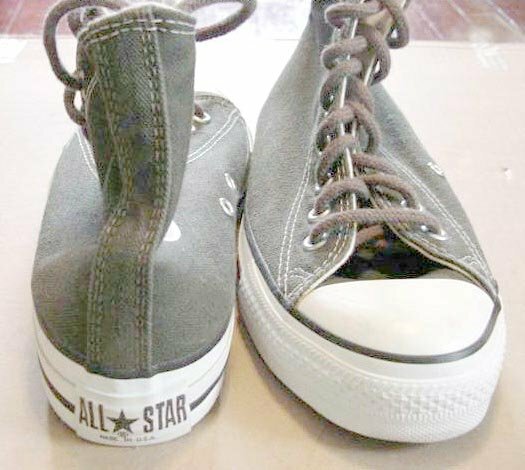 22 Miscellaneous Green HIgh Top Chucks Inside patch and angled side views of pea green high top chucks. 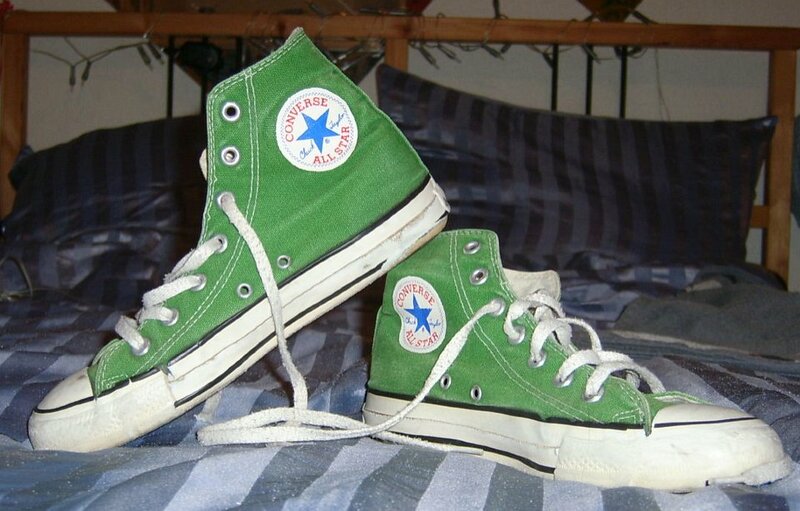 23 Miscellaneous Green HIgh Top Chucks Top view of pea green high top chucks. 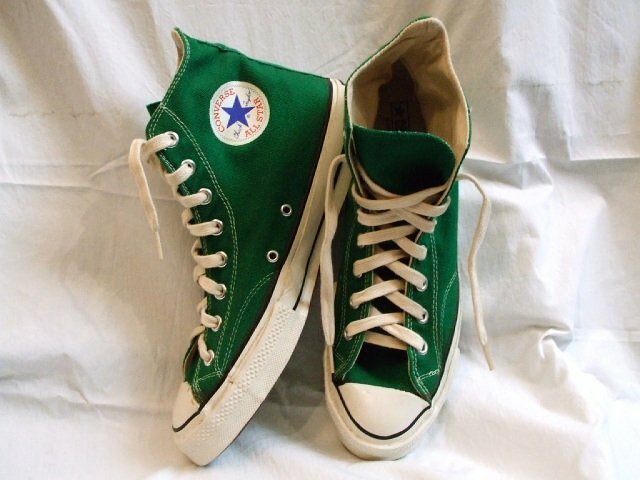 24 Miscellaneous Green HIgh Top Chucks Inside patch and top views of pea green high top chucks. 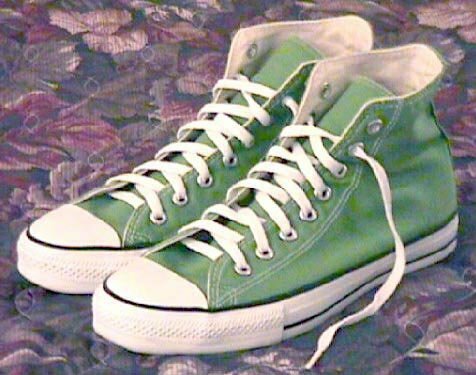 25 Miscellaneous Green HIgh Top Chucks Inside patch and angled side views of pea green high top chucks. 26 Miscellaneous Green HIgh Top ChucksMiscellaneous Green HIgh Top ChucksMiscellaneous Green HIgh Top ChucksMiscellaneous Green HIgh Top ChucksMiscellaneous Green HIgh Top ChucksMiscellaneous Green HIgh Top ChucksMiscellaneous Green HIgh Top ChucksMiscellaneous Green HIgh Top ChucksMiscellaneous Green HIgh Top ChucksMiscellaneous Green HIgh Top ChucksMiscellaneous Green HIgh Top ChucksMiscellaneous Green HIgh Top ChucksMiscellaneous Green HIgh Top ChucksMiscellaneous Green HIgh Top Chucks Vintage forest green high top chucks. 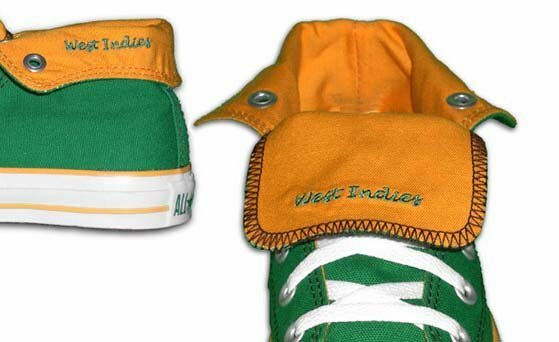 27 Miscellaneous Green HIgh Top Chucks West Indies flag foldover high top, front foldover, inside patch, and outside foldover views. 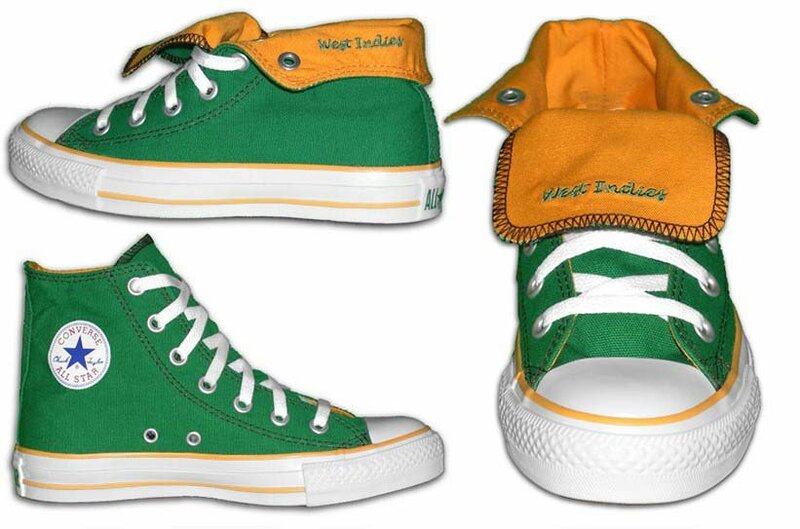 28 Miscellaneous Green HIgh Top Chucks Closeup of the West Indies flag foldeover high top, showing the writing inside the tongue and side canvas.